Improve Your Running! 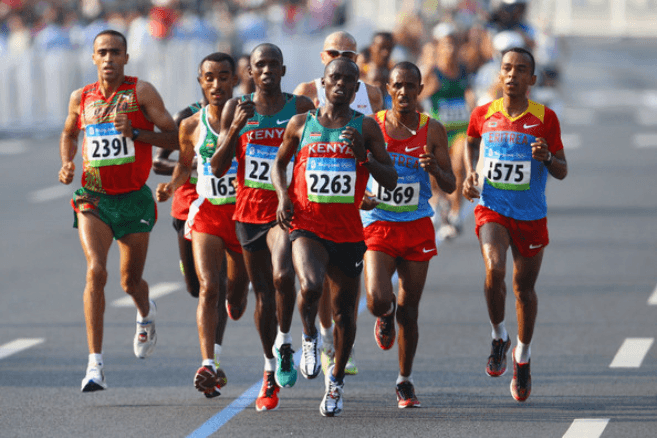 Learn the 8 Habits of Kenyan Runners. For many, specifically those who live in a place that experiences winter, a new running season beckons. If you like to run, regardless of whether you are a beginner or you’ve been consistently running for a good period of time, chances are you want to become a better and more efficient runner. You can definitely improve your running especially when you equip yourself with the habits of the most successful runners. A few years ago, Canadian marathoner Reid Coolsaet embarked on a trip to Kenya to learn, understand and experience the factors and habits that enable and propel Kenyan runners to consistently finish at the top of the standings when it comes to distance running. Read and apply the 8 habits of Kenyan runners that Reid Coolsaet outlines in an article he for the The Globe & Mail newspaper. May the 8 habits of Kenyan runners help you achieve a continuous series of personal bests and here’s to you for taking action to be active and enhance your life. Need help to achieve your strength training or fitness goals? Want to give a gift of personal training to a family member, friend or client? We’ll do what you need help doing.